There’s something new seen in the halls of Florida schools this year: guns out in the open. Packing heat on the campus of the Manatee School for the Arts in Palmetto, Florida, is Harold Verdecia, a 39-year-old former infantryman in the U.S. Army, who completed tours of duty in both Iraq and Afghanistan. 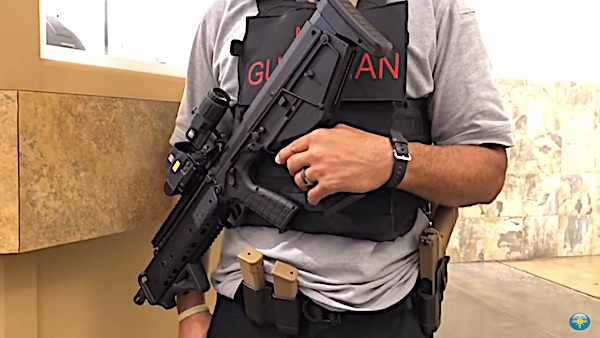 Armed with a Kel-Tec “Bullpup” rifle and a 9mm Glock 19X, Verdecia has been hired by the school with the sole responsibility of stopping an active shooter. More than 2,000 students attend MSA, and Verdecia says he gets complimented frequently by many of them. “They come and thank me all the time,” he said on a video posted by the Sarasota Herald-Tribune. But he understands not everyone in the community is on board with his presence. On Valentine’s Day last year, 17 people were killed in Parkland, Florida, when a former student allegedly stormed the campus of Marjorie Stoneman Douglas High School and opened fire. In the wake of the horror, state lawmakers approved a measure mandating all schools to have armed security. Among those who don’t agree with the new approach is Walt Zalisko, a retired police chief who now owns a global investigative group and police management consulting business in Daytona Beach. “You don’t walk around with an assault rifle strapped to your chest in a school. That is not the normal policy of police agencies,” Zalisko told the Herald-Tribune. 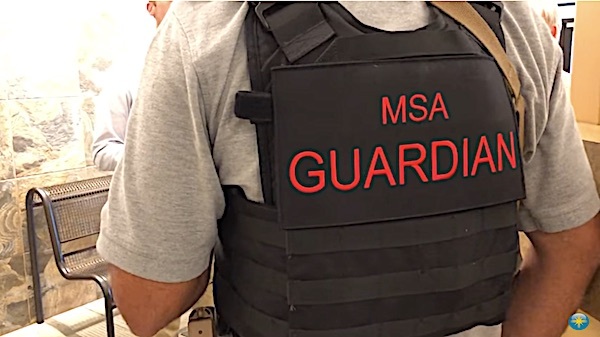 Bill Jones, the principal at MSA, says despite a few objections, response has been overwhelmingly positive, and he’s even looking to hire another guardian.